This weekend, as we go about our usual activities, there will be all sorts of unusual sightings along the way. Some scary, some adorable, and some downright disturbing. But the one common thread throughout Halloween is the chance to be something you are not. It’s the one day a year that you get to hide behind a mask and actually get rewarded for it. Don’t get me wrong. We dress up and have a great time with our kids and friends. We eat way too much candy, and we carve crazy pumpkins. But when I thought about what Halloween would look like to someone who had never seen it before, it seems a little absurd. We walk around, pretending to be someone else, and receive candy because we participated. Then I thought about it as an analogy for our own everyday lives. How many of us walk around pretending to be someone else so we will receive favor from others? And how many of those efforts feed our anxious thoughts? For a lot of my life I have made decisions about things like what clothes to wear, what music to listen to, or what friends to seek all based on what others thought. It is exhausting to try to be “on” all the time and it is not honoring God. He created me exactly how He wanted me to be. Who am I to think I can do better? Recently, God has been showing me ME…the me he gifted in certain ways, the me that has strengths and weaknesses that he designed to fit all together that will bring about the me that He intended. He has been teaching me about where my identity lies. I am not worthy because of the approval of others. I am worthy because I am a child of God, the bride of Christ. I am 100% approved by Him and that is where the peace resides. 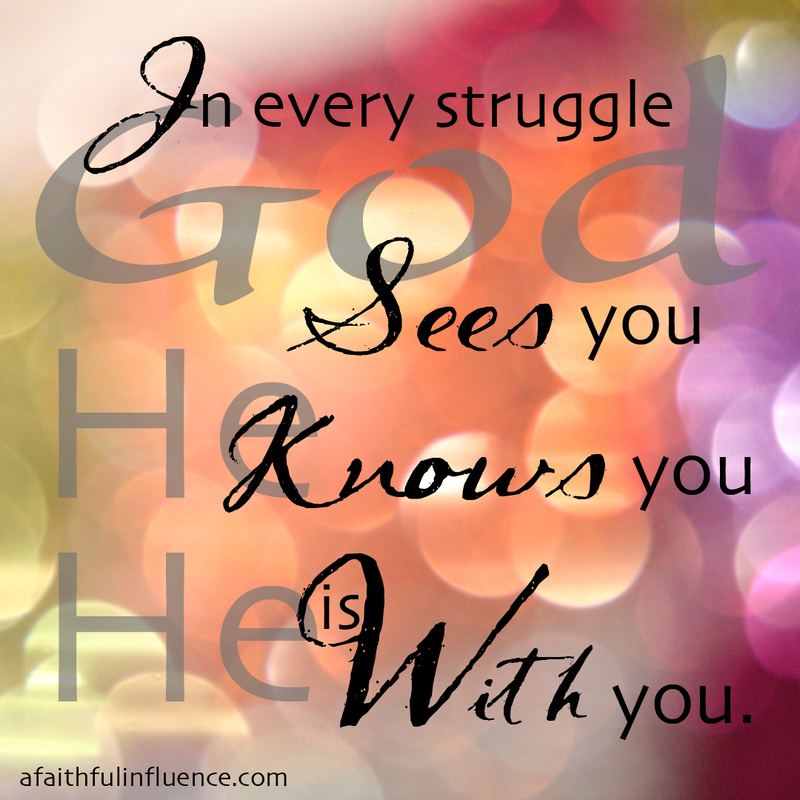 In knowing that whatever situation you are in or what ever struggle you are facing God sees you, He knows you, and He is with you. Imagine you enter that crowded room where you don’t know a soul and have no idea what to talk about, but instead of entering alone imagine that you enter with your arm linked through the arm of Jesus. You don’t have to do it alone anymore. He is right there with you, giving you a sense of identity that is all your own, but completely found in Him at the same time. So this weekend as everyone else is hiding behind their masks, remove yours instead, link arms with Jesus and find your identity in Him.